When a home owner stops making a mortgage payment, the remedy for the mortgage company is to foreclose the property. A foreclosure is a process where the mortgage company forces the property to be sold at auction so the mortgage can be paid by the sale. A bankruptcy can stop this process up to the point of the sale. Either a Chapter 7 or Chapter 13 bankruptcy can stop the foreclosure, but only the Chapter 13 offers a way to stop the process and allow the homeowner to catch up on the payments over time. 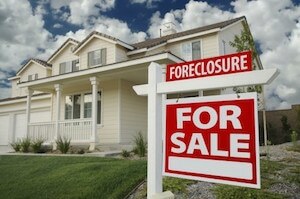 Most foreclosures in Washington are non-judicial foreclosures. That means a trustee sells the property without a court order. The formal process starts when the mortgage company sends a notice of default to the homeowner. They usually send some warning letters first. In Washington, before they send the notice of default, they also have to give you an opportunity to meet with an agent of the mortgage company to discuss options such as a modification, a cash-for-keys agreement, or a short sale — along with discussing the possibility that they were wrong about the default in the first place. This requirement that they offer the meeting can delay the process. If you are behind on mortgage payments and don't get a letter offering a meeting, you should request one unless you want the property sold as soon as possible. After the meeting, you also have the chance to request mediation, which can slow the process down even more. This request for mediation has to come through an attorney or a certified housing counselor. You can still pursue a modification through the HAMP program after filing either a Chapter 7 or Chapter 13 bankruptcy. Often using a bankruptcy to clear up debt will help you qualify for a modification. A Chapter 7 bankruptcy will stop a foreclosure but the mortgage company can start the process up again with court permission, which can be obtained in as little as a month. Sometimes a Chapter 7 trustee will want to sell the property in a short sale, getting the mortgage company to accept less in the sale so the trustee can pay unsecured creditors from the sale proceeds. This process could allow you to stay in the property even longer but there is not guarantee of that. A Chapter 13 plan allows you to catch up on the mortgage over five years. You have to be able to make the current mortgage payment and pay an additional amount to catch up entirely within five years. You can consolidate all your debt in a Chapter 13 plan, including the current mortgage and back payments. With this improved cash flow, if you have fallen behind but are not in a position to catch up over time, a Chapter 13 can be a powerful tool to help you save your home. If you have questions or concerns about home foreclosure in Washington, contact the trusted bankruptcy attorneys at the Law Offices of Jason S. Newcombe.